My son and I have always been interested in Geology, so we were excited to watch the introductory video Taking the Mystery Out of Geology. 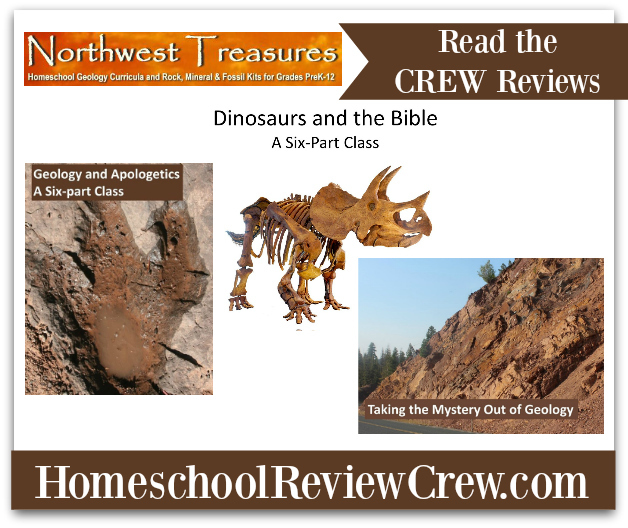 And, we also watched Dinosaurs and the Bible from Northwest Treasures. 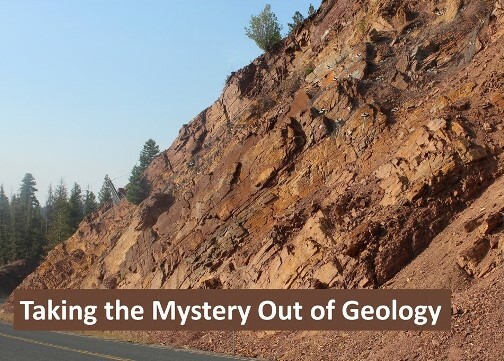 Taking the Mystery Out of Geology is a 20-minute intro (or refresher) video that explains a lot of basic concepts in geology. It was new info for my son. I’ve taken some college geology courses and I have read many geology books in my spare time, so it wasn’t new for me. It was still interesting to watch this video lay things out in 20 minutes. I think the video did a thorough job of explaining geological concepts. 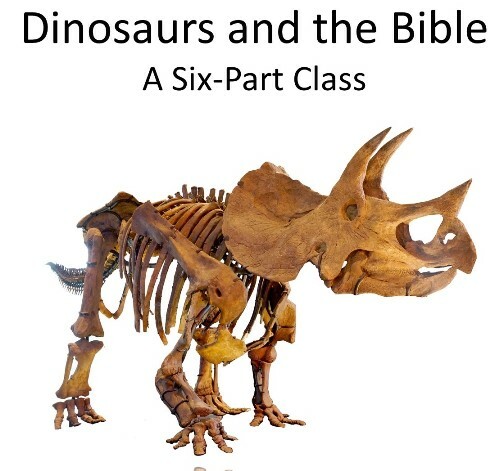 Dinosaurs and the Bible is a six-part lesson series. Each lesson is about 20 minutes long, more or less. The format is a recorded lecture with slides. You don’t see the person speaking. There is an overview of the history of geology and the development of conventional scientific theories about earth’s history/evolution/paleontology/etc. To me, it’s similar to listening to a Story of the World type of book. I didn’t hear this history until I was in college and took a basic Geology course. Intertwined within this is the reaction of contemporaries to those theories when they were proposed. I’ve heard snippets of that before, but never any cohesive swing-through-history. This series has a lot of meat – and there are a lot of questions about conventional theories. I’ve read many books on this subject and I enjoy this type of questioning. The explanation and sequential, logical thought in this series is a solid, rational questioning. It demands that science obeys its own rules. My 11-year-old son was intensely interested in this series. He’s into science and he’s read about this topic before in the past, but he hadn’t done anything in depth. We binge-watched all the lessons together in one day, and my son was sad that we only have a six-month rental. My son keeps re-watching them. My son just didn’t want to stop watching them because he liked them so much. He wants to buy the videos when the subscription runs out. Even though the lessons are simple, rather than being done as a sophisticated movie, the lessons are straightforward and well-paced. Sometimes, there’s something to be said for a solid lecture format. The series is intended for grade 5 – adult. I think that’s accurate. My two younger children (ages 6 and 8) were around off and on while my 11-year-old and I watched, but the younger kids were not interested in this. They like science, so I really think that this is just something that’s best for older children. I would say grade 5 for advanced students, but many students won’t be ready for this until high school. There are worksheets for each of the six lessons, and a final test at the end. You don’t have to do these, of course. I had a really hard time finding the worksheets through the Vimeo format, but we found them after clicking through into the right area. You could have your child do this course independently and do the worksheets to make sure that the comprehension is there. My son is still in that stage where he will watch a show over and over, and at age 11 he’s not a fan of worksheets. These worksheets are well-done, but I think most people understand that there is a certain segment of the 11-year-old boy population that would rather do anything else besides a worksheet. I’d rather have him enjoy the videos instead of killing his enthusiasm with his much-dreaded worksheets. So, my son and I read through the worksheets and talked about them together. My son was able to answer a lot of the questions, which surprised me because I felt like the lecture format of the content is advanced for his age. For follow-up: You can email the author if you have questions. There are lots of hands-on kits. My kids are really into fossils and we have a few little fossils they have collected on a shelf in our house. My kids want to do the kit called Fossil Identification Made Easy. It’s a pricey kit, but I think something like this might make a really good Christmas or birthday present.